It really is ridiculous how happy I am having fresh herbs to cook with again. And I am days away from a first salad harvest from the garden. What's that, you'd like a tour? I'd be delighted. It's still all babies and I need to mulch it as soon as Jeeps can give me grass clippings. But anyway, come along and look. 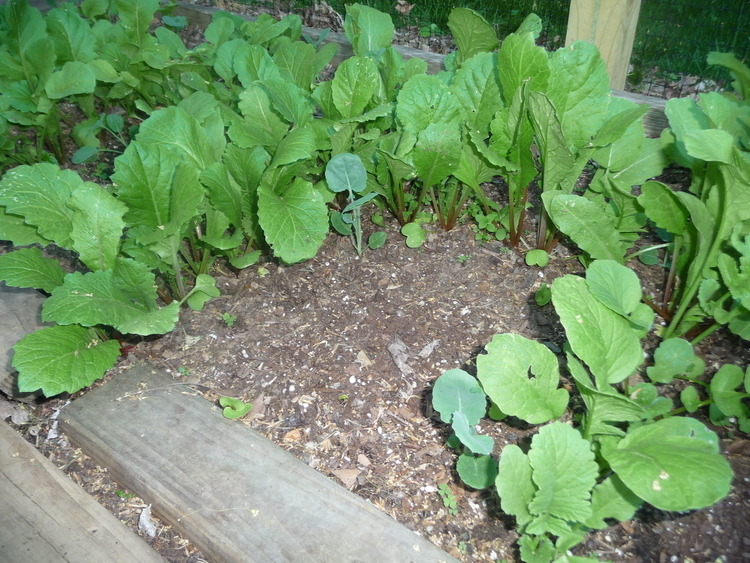 Spinach and radishes on the left. Carrots on the right, which need thinning, which is an OCD job I loathe, but it's the nature of the beast. Next bed over, I'm growing fennel. Fennel fennel fennel, I planted like 24 bulbs of it. LOVE fennel. Last night I sauteed chicken sausage with red onions, yellow peppers, cherry tomatoes and zucchini. And right at the end I ran out, clipped off a bunch of feathery fennel tops, clipped another bunch of fresh parsley, chopped it all up and stirred it in. There wasn't a scrap left. On the right are broccoli seedlings surrounded by radishes. I companion-plant whenever possible, and I read that these two go well together. So I made a grid of radish seeds and planted the broccoli inside the boxes. On the other hand, the same source said, rather vehemently, not to companion-plant fennel with ANYTHING. So if the whole garden should fail, we all know why. 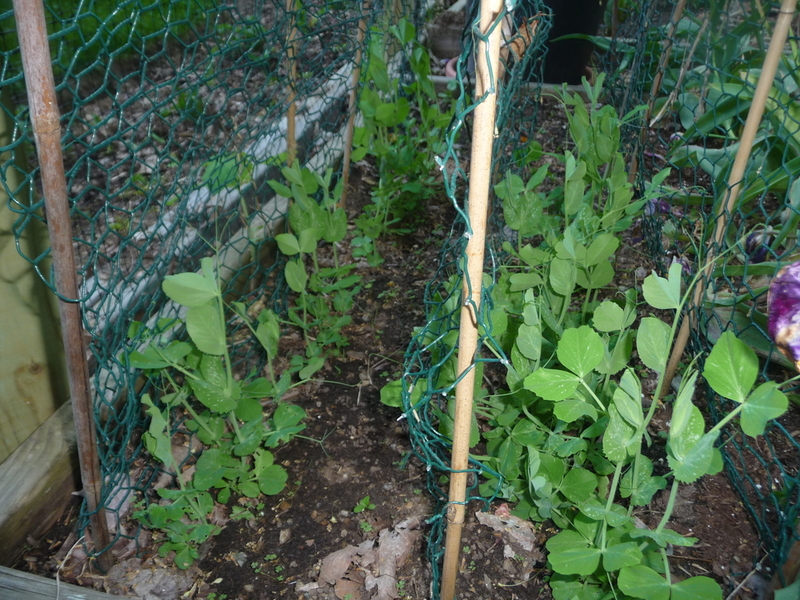 Pea plants are starting to climb. Nearly a third of this crop, which was planted near the tulips, was wiped out by a vicious pack of voles. We've declared war with bait and snap traps. Killed five of them in one day. And I enjoyed it. For dinner tonight we were having burgers on the grill, but on the side I sauteed red onion and garlic in olive oil, then added a can of drained, rinsed cannelini beans and let it cook on low about ten minutes. Then I added half a bag of baby spinach and some chopped parsley. I'm kind of a parsley whore. Bouquet by Panda. I love handing her scissors and a mason jar and saying, "Pick something for the table." Usually she just has at it, but tonight I did give specific direction because my columbines are in bloom, and these purple ones look pretty with the chartreuse leaves of a golden bleeding heart. She arranged it beautifully though.